With the transfer window now open, Manchester United have kick started their transfer activity and hope to complete their business before a short deadline before the World Cup in June. United have been linked with the likes of Sandro, Fred, Alderweireld and Anderson Talisca. Mourinho is looking to revamp his squad for the upcoming season in a bid to become strong title contenders and challenge Manchester City to the title. The top 6 sides have also begun their transfer activities and look strong to challenge for the league. United will have to compete against Liverpool and Manchester City, two clubs who are in fine form with one in the Champions League Final and the other winning the league. Arsenal have appointed Unai Emery, who has found tremendous success with PSG and Sevilla respectively. Emery hopes to guide Arsenal back in the top four with his attacking style of play. Chelsea and Spurs are also looking to boost themselves. It is without a doubt that the Premier League will be even more competitive, with more quality, pace and experience in the side. Mourinho will have to improve his side drastically and remove all negativity and instill a proper winning mentality, hunger and greed to win titles. Mourinho wants his United side to have a more attacking mentality for next season. Attackers like Martial and Rashford being inconsistent and creative players like Pogba not getting chances to show their true capability due to defensive duties. United have been too defensive, cautious and shy when they go into an attack. They try and control the game by holding possession but, when in the attacking half, the team fumble and get nervous. The midfield being the main cause of the issue. Pogba the main creative player, can’t do all the creative duties on his own and it has been noticed that he needs support. Matic and Herrera are too defensive minded and lack pace. Fellaini looks set to leave the club and Carrick has retired. The midfield definitely requires a revamp by addition of pace, flair and attacking minded players. With a squad overhaul, Mourinho has also carried out a change in his backroom staff after assistant manager, Rui Faria left the club. Jose has bought in Inter Milan fitness coach Stefano Rapetti and Michael Carrick to be introduced in the coaching staff. Jose has also reportedly promoted u-18s manager Kieran McKenna who has done a splendid job with the youth side, since arriving in 2016 from Spurs. McKenna is well known to develop young attackers and his beliefs in dynamic attacking style of play. All this could be strong indicator that United are about to change tactics and adopt a much-needed attacking style of play. 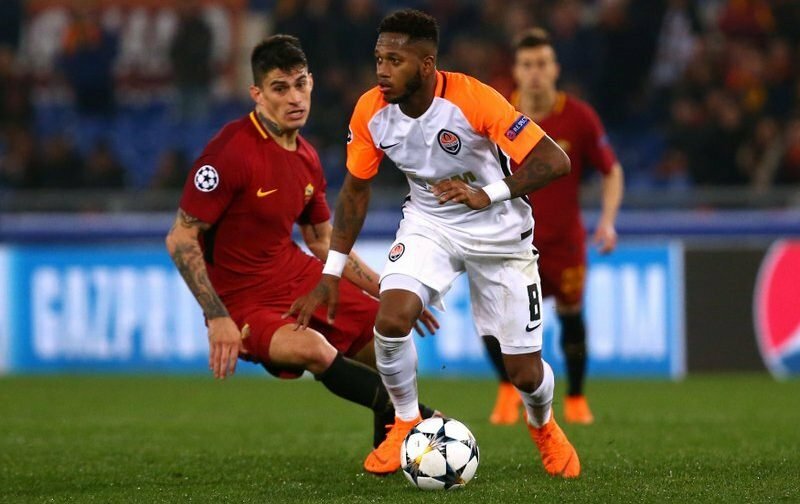 United have been linked with Shaktar Donetsk midfielder Fred over the past few days and could be the perfect example of an attacking minded player who is getting a lot of recognition over the past few months. The 25-year-old Brazilian has caught the eye of top European sides and is willing to take the next big step in his career. Fred hasn’t played in a major league so far and at 25 it is better late than never to move to a bigger league and make a name for yourself. Whilst at Shaktar, Fred wouldn’t have got that opportunity due to playing in a lesser known Ukrainian league. Moving from such a league and being linked to a massive league like the Premier League and that too being linked to United shows that the player has some unique qualities which are surely underrated. Fred has also been called up by Brazil in the upcoming World Cup in Russia. Fred will be playing with superstars and has a great opportunity as well as the biggest competition in footballing history to impress the world. Fred can follow the example of fellow compatriot, Paulinho, who moved from the Chinese Super League to the La Liga playing with Barcelona and being a very important player in the first team. It clearly shows that Fred can do it too and succeed. But, how can he improve United’s style of play? Fred is a dynamic and classical Brazilian midfielder who loves to pass the ball, create spaces by opening opposition defences and most of them all he, loves to run, he is an engine, he never stops. He has great stamina and technical ability. Fred is the key creator for the Ukrainian club and has a great link up play with both their attackers. Fred can ignite surprise counter attackers whenever he gets the ball and starts running from the defensive area of the pitch to the final third where he distributes his pass. Imagine a player with the stamina and pace of Kante with great vision and passing ability. Fred’s main strength are his precise through balls and opens up defences to allow strikers to score while on the counter. Like every Brazil footballer, Fred is a great dribbler of the ball and a key ingredient during his runs during an attack. He generally uses many lay-offs to dispossess and fool his opponents. He is also not shy of defending and can also help in defensive contribution. He like to tackle and isn’t shy to demonstrate his rather weak strength and physical ability but, puts on a good fight when he challenges for the ball. He has a 100% pass completion rate in the Champions League and has notched up some great key passes. This season, we have seen that players like Lingard, Lukaku and Rashford, tend to start making runs inside the box waiting to get a pass with some fine one-two passes, which are too fast and unpredictable for the opposition defenders to read or anticipate. A total surprise package like Fred, could bring unpredictability to a fast-paced league where Fred can fit in. we may not know a lot about the player but, we know that his style of play is tailor made for England. Fred is more of a creator than a scorer but, has notched a decent 4 goals in all competitions. A midfield three of Matic, Pogba and Fred would an interesting thing to see. Shaktar has placed a 55 million release clause on the midfielder but, according to Italian journalist, Gianluca Di Marzio, Fred to United is almost complete as a 50 million fee has reportedly been agreed between the two clubs and the deal is set to be completed in a couple of weeks and before the World Cup. Fred is expected to come to Liverpool for Brazil’s friendly match against Croatia and could travel 29 miles further to Carrington to complete his United medical and deal. It would be a great start in the transfer market for United by making a relatively lesser known Fred their first signing and spearhead a potential era of dynamic attacking United. However, the player is still not a known personality and there are several doubts over his ability but, it is a risk and gamble worth taking. It can also turn out to be a calculated risk for Mourinho, who can take this player to the top. He is also one to watch in the upcoming World Cup in Russia next month.